Connect your eBay listings with your eCommerce, with Amazon, Pixplace and Spartoo in few steps. eDock is a product listing software for eBay. eDock is a product listing software for eBay. Or rather it was. 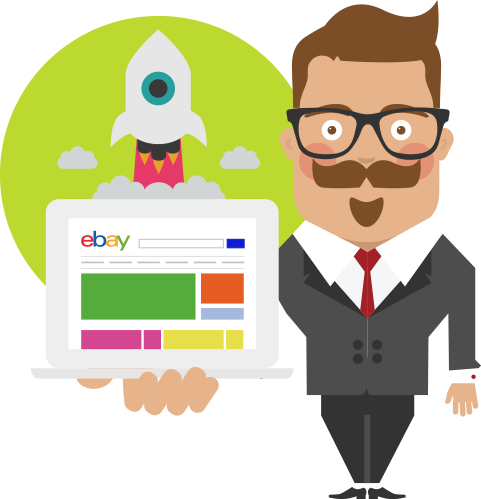 In the meantime, eDock evolved in the most complete program to sell on eBay and for social commerce (it works with other popular marketplace besides eBay: Pixplace, Amazon and Spartoo) which allows to do product listing on eBay and to keep synchronized your eBay shop with your eCommerce. You can also manage easily listings and orders from eBay: send them directly on your management program through eDock. If you sell on eBay you surely know how much is it important to satisfy each client. In order to preserve your high-standard performance as a seller, you know that it is crucial to automatize and have a dynamic management of your products. The products must be also synchronized in every market you sell on. eDock can be helpful for this aim, it allows you to manage the stock from a single panel for every market, managing easily the dynamic change in quantity for each product. With eDock you have the possibility to set what we call “Autolisting rules”. Thanks to them, you can list automatically the product you create “from the beginning” on eDock. You will save time with the automatic listing on eBay, and with the time saved you can do other valuable activities. If you need to specify different pieces of information in every single product, you can use the “dynamic fields” on eDock. This feature is useful to give info about a discount, a promotion or other data you set on eDock. We, and other few companies, have a solid partnership with eBay and this means that we are always in line with their activity on the selling platform. Our blog is the place where we release news about eBay implementations and other info useful for eDock users. The pieces of information are given upon agreement with eBay.